A unique fifteen minute zombie race to the finish, where you and five other friends compete to reach the finish. But beware there are plenty of challenges. As you get closer to the door of the refuge. While on your journey other players will move and block you and they will spawn pesky zombies that surround and get in your way. There will also be a key card to locate, and plenty of other cards and tiles to interact with. Up to 6 players can play the game. What is your strategy? Do you keep pushing forward defeating all zombies in your way? Do you let others fight for resources while you sneak your way to safety? 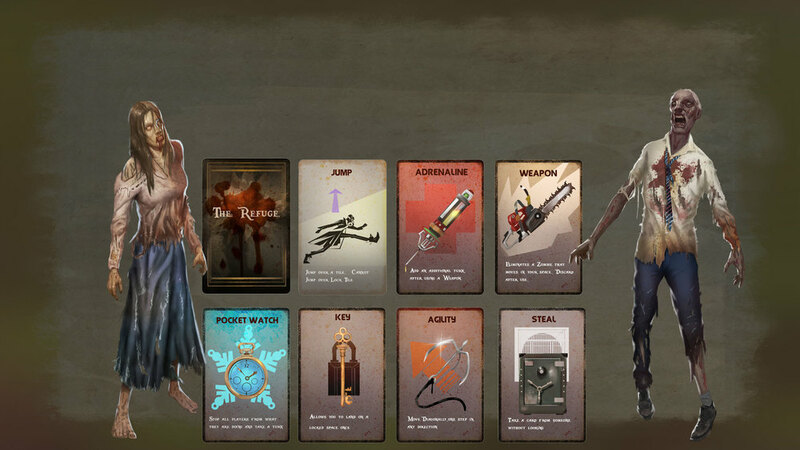 The Refuge offer a variety of strategies for different types of players. Oh and remember you need the key to reach the finish line. The objective is to find a KEY and reach the refuge. Easy enough right? But everybody needs to play fair. So here is the rule book so no one can cheat, just in case you misplaced it.